Ever After High™ prince Daring Charming™ has many admirers -- including himself! The son of King Charming is rarely seen without his mirror. This dashing Daring Charming™ doll has a golden version he can hold in his hand to check out his pearly whites. A prince without a princess, Daring Charming™ is ready to come to all the damsels’ rescues wearing a gray vest decorated with an intricate print, yellow stripes and royal crest. Signature white sneakers complete the modern look. Recreate favorite scenes, tell new fairytales or play out happily ever afters with this Ever After High™ prince doll. Collect all of the Ever After High™ dolls for even more storytelling fun (each sold separately, subject to availability). 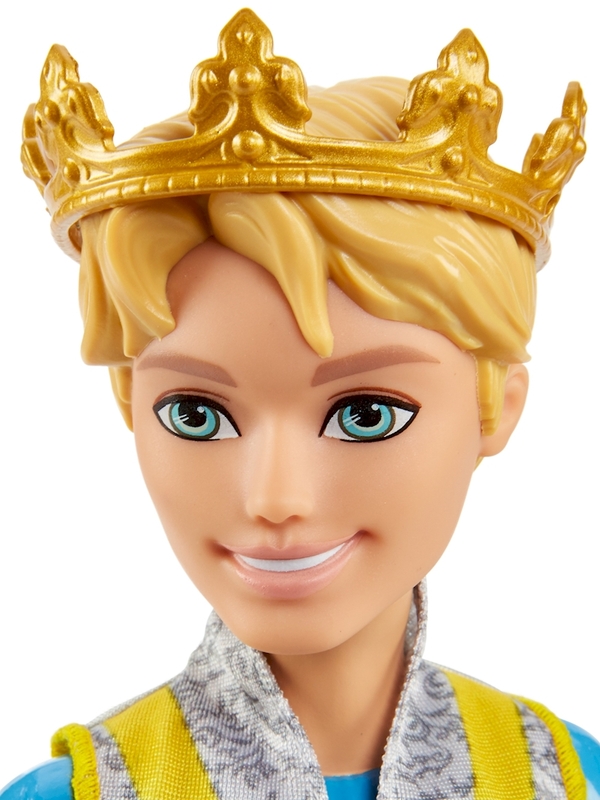 Includes Daring Charming™ doll wearing fashion and accessories that include a crown and hand mirror. Doll cannot stand alone. Colors and decorations may vary.